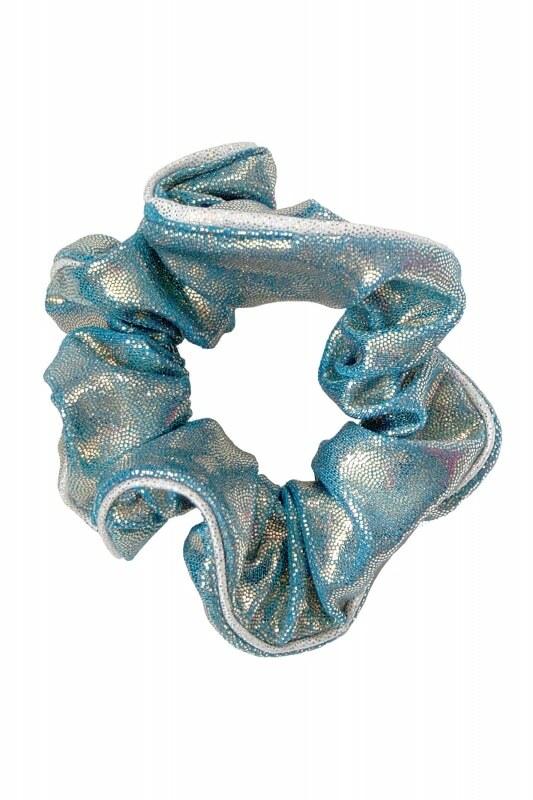 The Flair Z1SCRFLA gymnastics hair scrunchie. Turn heads in this beautiful iridescent hair accessory, with super shine Nylon/Lycra to catch the light and make you glisten. The perfect partner for any of the leotards from our Flair collection.